Born in Kochi, Chapati pictured here in Nepal. He is travelling with a Ukranian couple that adopted him. On February 10 this year, a dehydrated, starving and flea-ridden little puppy was discovered in Kochi, Kerala by a travelling Ukrainian couple. They adopted him, named him Chapati and, after countless vet visits and some 'shady' dealings, made a real travelling dog out of him. 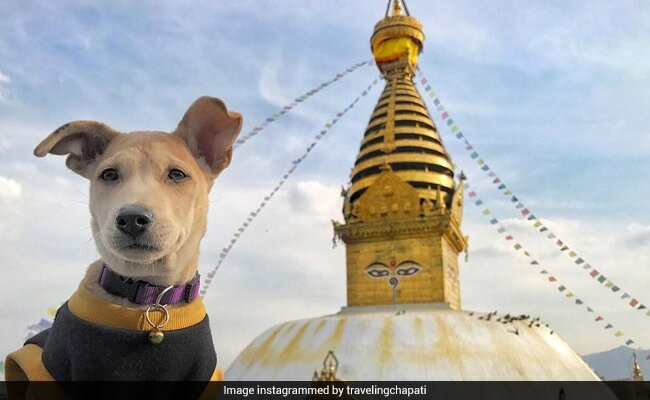 Chapati is now a dog on a real adventure - and he has thousands of followers hooked on his Instagram account. Since being rescued in February, Chapati has come a long way - he has been de-wormed and 'deflea'ed, he has travelled in trains, he has visited beaches and temples, and he is now looking forward to visiting more of Asia with his mom and dad. 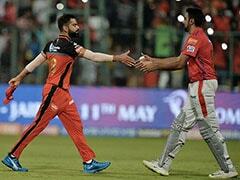 Chapati travels illegally on a train - according to his post, in India, 'dogs can travel by trains only in AC First Class when you buy out the whole cabin' - something that his parents can't afford to do! Follow Chapati's Instagram to keep up with his adventures.